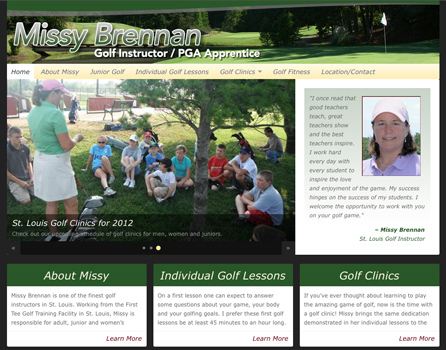 Missy Brennan: Website Design - TriFecta Creative. Graphic Design and Creative Services for Your Business. Updated out-of-date website with completely new look and feel, developed with client/owner input at each step. Built on a WordPress platform, site has delivered more leads and generated more interest than any previous outreach program client has used. Helped craft creative and compelling copy for individual sections and provide on-going maintenance and updates to site.